You’ve heard us preach time and time again, in one way or another, that Content is King. In The Dojo we recently published an article titled “How to Write a Real Estate Blog Post in 25 Minutes“, which shows you how to be a real estate content curator in 3 hours a week. We’ve also published articles that help get you started with content creation. But we hadn’t ever actually handed you tools to help make your blogging and content creation process simpler… until today. Our Design Ninja, Roxanne, came up with this handy printable sheet to help keep you organized and prepared to publish your next blog post! 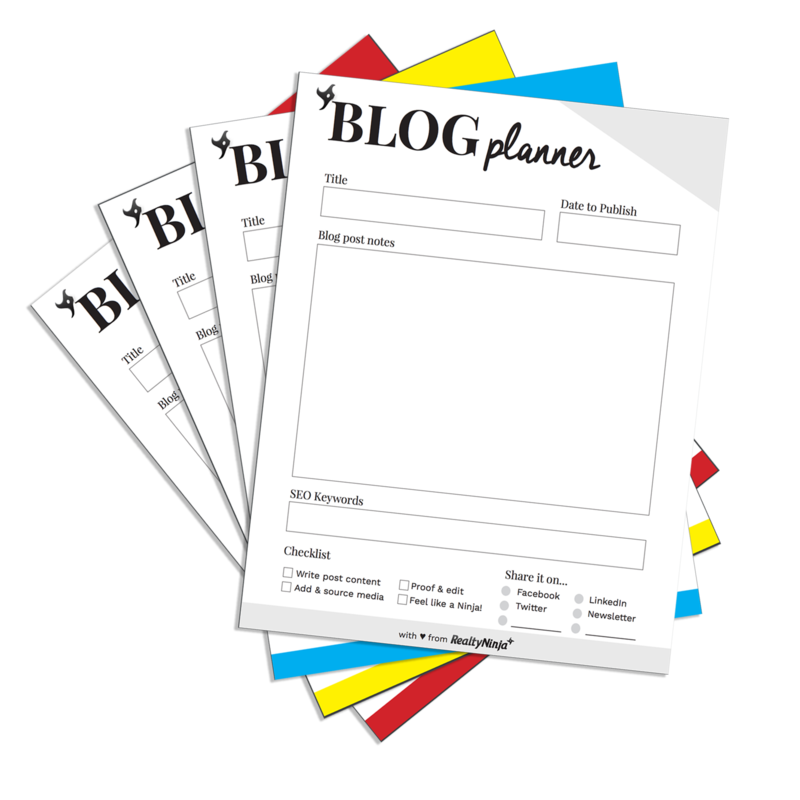 This sheet features a large area to jot down notes & ideas pertaining to each blog post’s content, as well as checkboxes to remind you what’s next & more. The sheet comes in red, blue and yellow variations for visual categorizing, as well as in light silver to use significantly less ink. 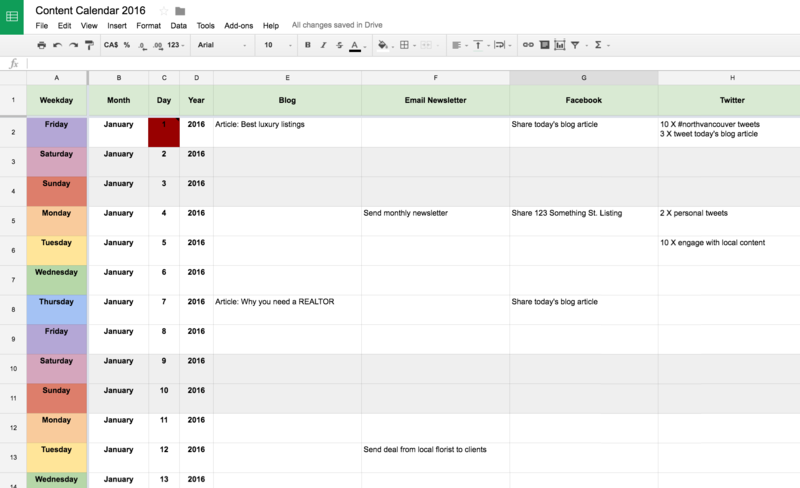 To go along with that sheet, we’ve also included a Real Estate Marketing Content Calendar, which will help you organize exactly when each post, tweet, ‘gram, etc. will be published across each of your online marketing channels. We’ve included the main marketing channels in this Spreadsheet: Blog, Newsletter, Facebook, Twitter, LinkedIn, Instagram and YouTube, but feel free to modify this spreadsheet to serve your specific needs. These are only examples, and are much smaller than standard FB cover photo size. Please do not try to use them on your FB page - they will turn out pixelated if you do. To download the full-sized versions, subscribe to our mailing list below. Ready to Download this Real Estate Blogging & Social Media Freebie Bundle? All you’ve got to do is use the form below to subscribe to The Dojo Newsletter and we will send you a link to download your freebies right away.